This unique purse is made of denim blue color. It has seven internal compartments for cards and documents and a zippered wallet. 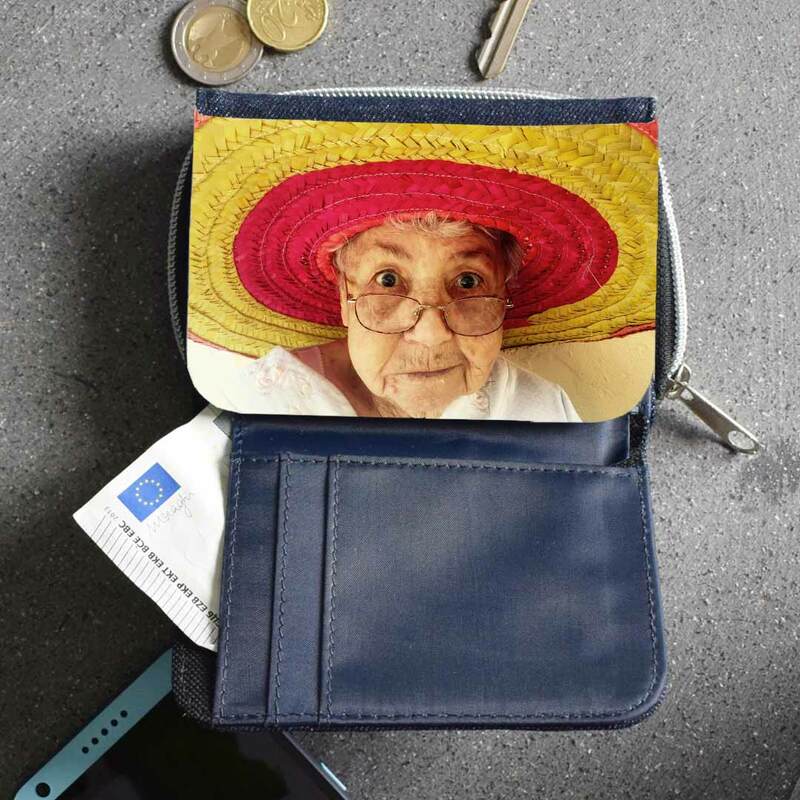 The purse is personalised with your chosen photo and bring fond memories every time they use it. Size: 11.7 x 8.5 cm. When uploading the photos, the larger the photo resolution/size the better, but no bigger than 15MB in size. The photos can be any shape (landscape of portrait), however it may be resized to fit the item. The print size is approx 11.7cm x 7.5cm. 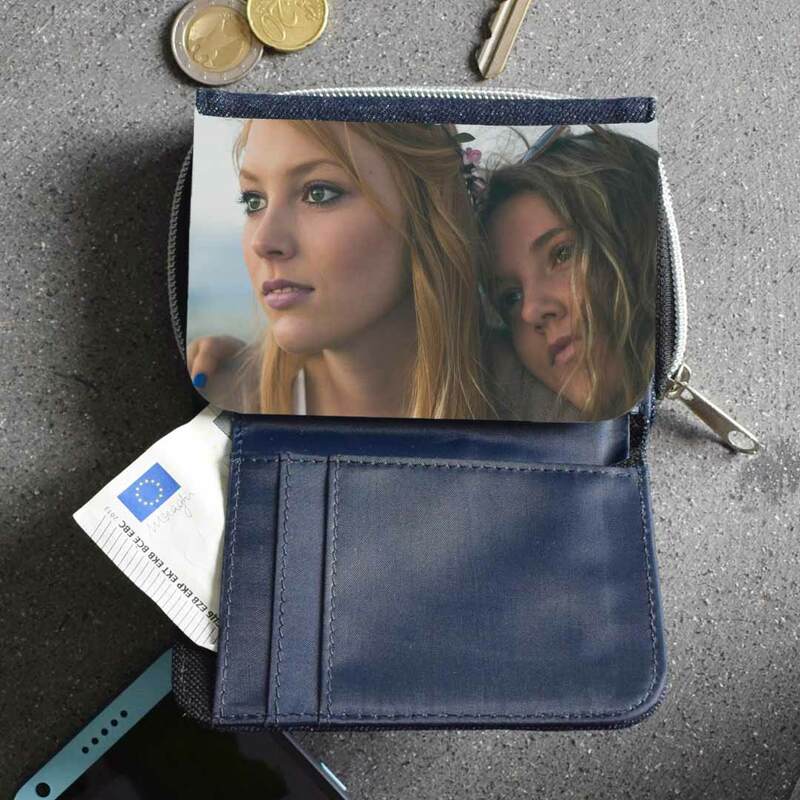 We will layout the photos to fit best on the item.